Ghoulia Yelps is the daughter of zombie. 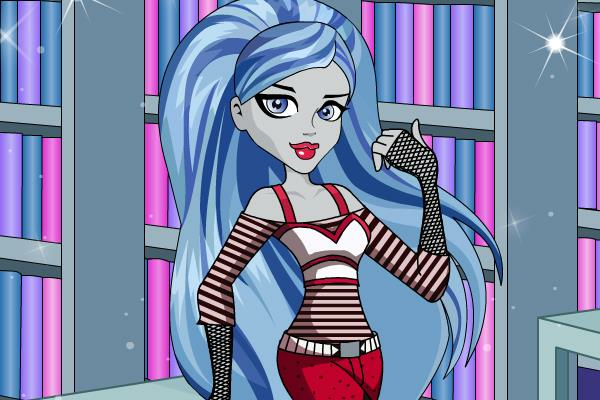 In this Monster High dress up game we need to create a library style for Ghoulia. Ghoulia Yelps is very smart and she reads books all the time. The library is her second home.